Photograph shows corner view of a commercial building and a large awning shading a store front. Barrels and baskets of produce line the sidewalk, and a tradesman's wagon is parked at the curb of a cobbled street. Several people are seen standing around and walking by. 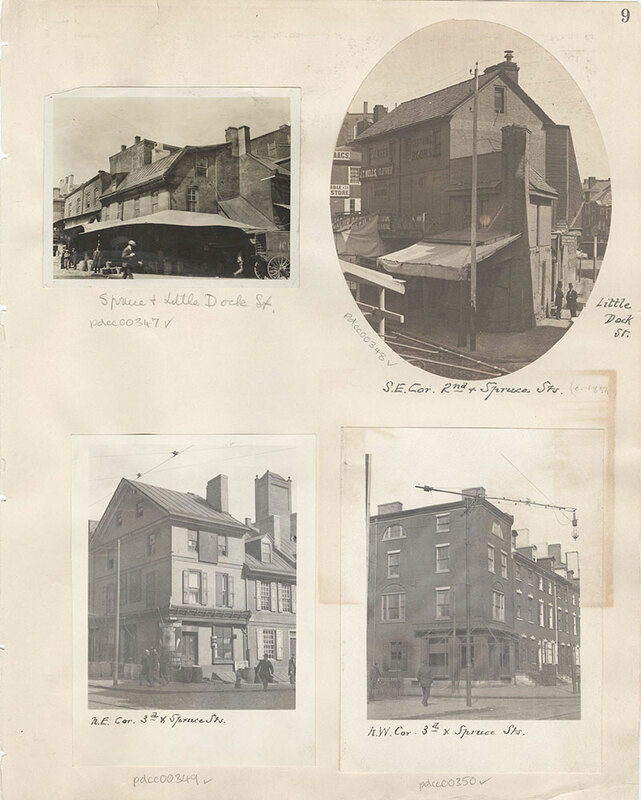 Reproduction of photograph showing corner view of four-story building and adjacent buildings at 3rd and Spruce Streets. A corner store sits vacant. Trolley tracks and overhead wires are visible on 3rd Street. People are walking by.